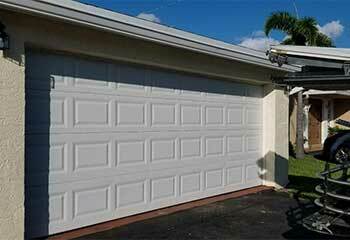 We are the leading garage door service provider in the state for a reason. There's no type of problem our technicians can't handle. Check out some of our latest projects below. 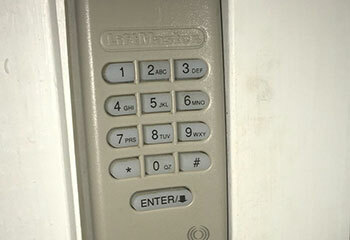 Customer Issue: Tried opening her garage door one morning and found that the remote control isn't working. Our Solution: The first thing we did was open the remote handset's casing and examine its wiring. The problem didn't seem to be there. The second thing we did was test the wall switch and check the opener for specific failures to see if the remote. True enough, we found that the receiver antenna was damaged, and replacing it with a new one solved the issue. Customer Issue: One of the extension springs broke during operation. Our Solution: After removing Mr. Kalapous’ vehicle from the garage, our team unhooked both springs and attached a pair of replacements to their housing. We made sure the lift cables weren't damaged as well, and then performed a few tested to ensure the door could move without issues. 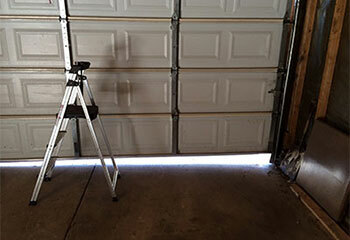 Customer Issue: Faulty garage door opener. Our Solution: The door was stuck midway after the opener stopped working suddenly. We opened the Genie unit and found the fuse to be tripped. We immediately replaced it and the door was back to normal. 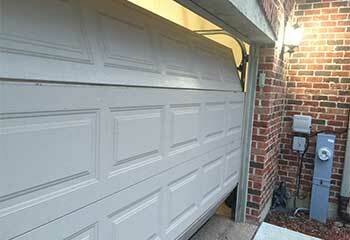 Customer Issue: Garage door does not open. Our Solution: We inspected the door system and found that the issue was in the opener as well as the rollers. Adjusting the sensitivity of the opener and quick lubrication brought the door back to life! Customer Issue: Heavily bent overhead track. 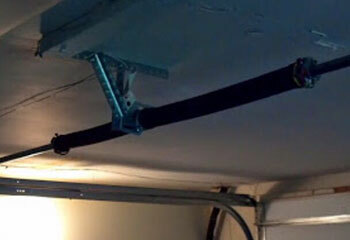 Our Solution: The overhead track was bent due to a household accident. Since repairing was not a solution, we carefully replaced it and re-oiled the rollers for smoother functioning of the door.